Combine yield monitors are growing in popularity. Dataare utilized to build fi eld yield maps in certain yearsor yield frequency maps during multiple years. Mapsserve as location-year record of management andmay be predictive of yield potential and soil nutrientvariability for future crop management decisions. Yield mapping is one of the principle uses of precision agriculture technologies. 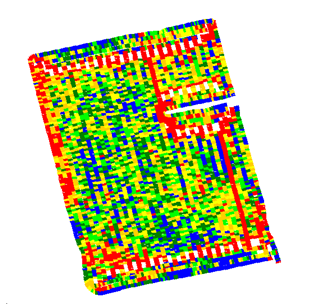 Yield mapscan be useful tools to aid in understanding whycrops performed as they did in various areas offields. Yield maps can also be used to estimaterental shares and to provide other importantmanagement information. 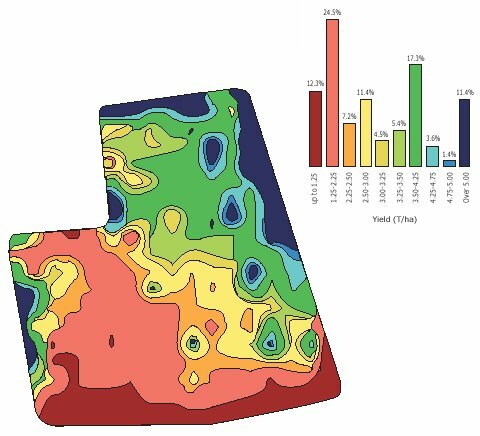 Yield mapping refers to the process of collecting georeferenced data on crop yield and characteristics, such as moisture content, while the crop is being harvested. Various methods, using a range of sensors, have been developed for mapping crop yields. Each sensor has to be properly calibrated according to the operator's manual. Calibration converts the sensor's signal to physical parameters. A proprietary binary log file is created during harvest to record the output of all sensors as a function of time. This file can be converted to a text format or displayed as a map using the yield monitor vendor's software.